A friend recently brought to my attention the following website, which contains the full text of Compline from the Breviary of St Pius X. http://bbloomf.github.io/compline/ It is a work in progress, and from the fact that the word Compline is on the other-side of a /, it would seem the creator plans to expand it. The clever thing about how it is arranged it that every possible variant is represented by two or more buttons, which you can click and instantly bring up the relevant texts. 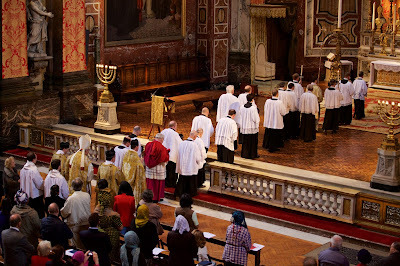 For example, is a priest officiating or not, is it the Easter season or the rest of the year; all the possible variant doxologies and hymn tones have their own buttons as well. 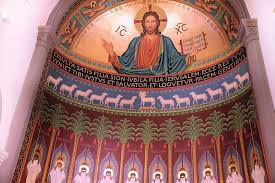 The most important button for this particular Hour, which would allow one to choose which day’s Psalms will be said, has yet to be installed, so as of now, the Psalms of the Feria appear, even on days when the Sunday Psalms would be said. The most useful feature of all is that the text is given in Latin, with all of the corresponding chant notation. including the Antiphon of the Virgin at the end. No other information is given, but I would encourage the creator of the site to continue to develop this highly useful resource. Screen shot of the beginning of today’s Compline as it appears on the site. 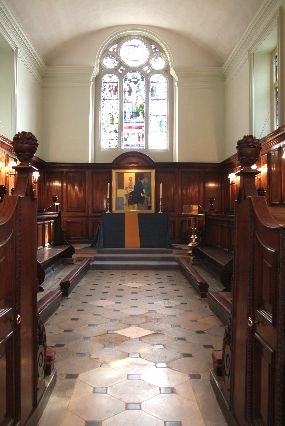 I have become aware over the last couple of years of contemporary artists looking to the 19th century Beuronese school for inspiration when painting for the liturgy. Time will be the ultimate test of how appropriate this is, but my initial reaction is that it is a good thing; I thought that I would explain a bit why I believe this to be so. 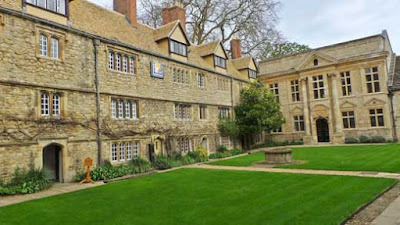 Stylistically, the Beuronese school is an interesting cul-de-sac that sits outside the mainstream of the Christian tradition. 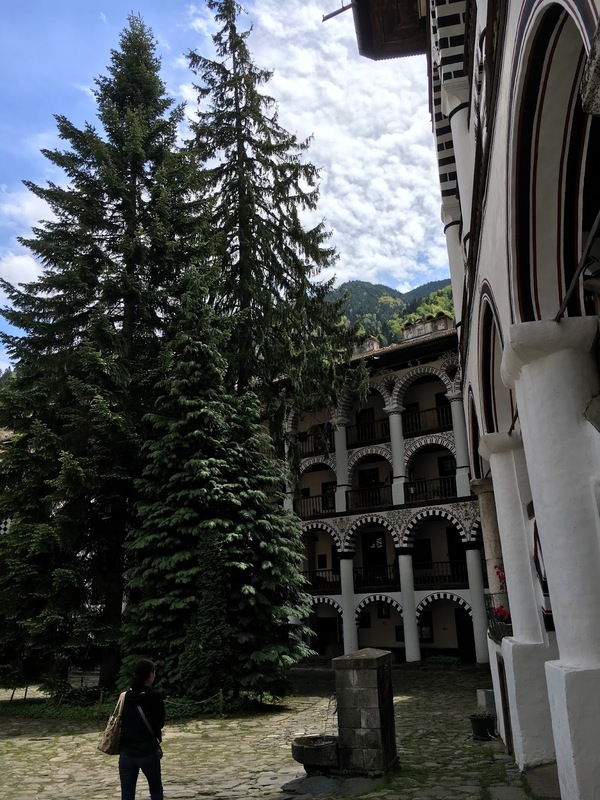 It is named after the town of Beuron in Germany, the location of the Benedictine community in which the school originated in the mid-19th century. The most well-known artists who painted in this style in Europe are Desiderius Lenz (d. 1928) and Gabriel Wuger (d. 1892). 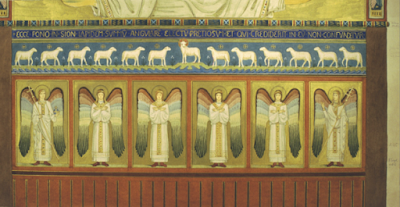 In the United States, the walls and the ceiling of the abbey church of the Benedictines at Conception Abbey in Missouri, are decorated primarily with authentic examples of the Beuronese style. 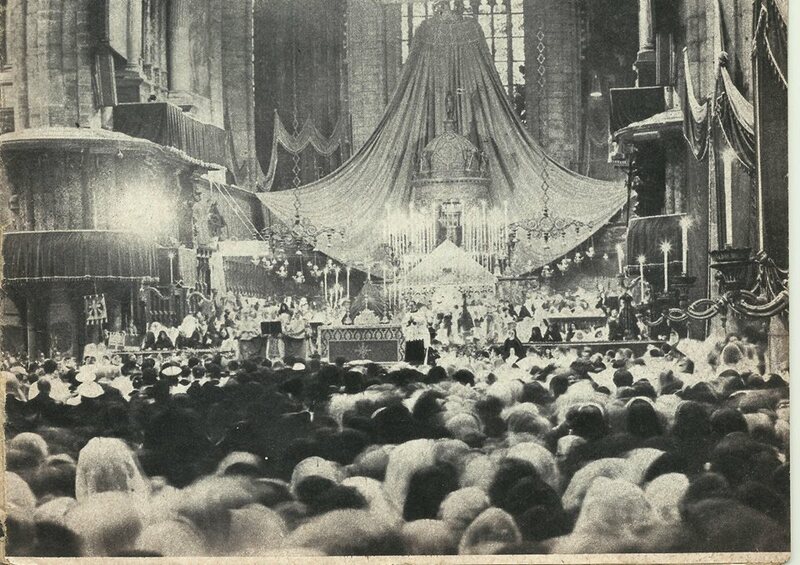 The abbey website tells us that the work was done between 1893 and 1897, by several monks of Conception, most notably Lukas Etlin (d. 1927), Hildebrand Roseler (d. 1923), and Ildephonse Kuhn (d. 1921), the latter two of whom had studied art at Beuron. 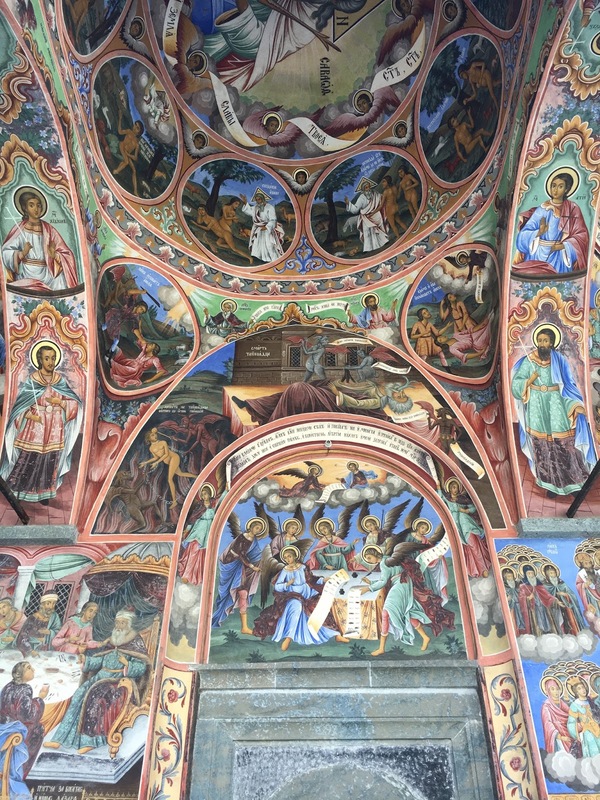 Authentic Christian art has a style that is always a carefully worked out balance of naturalism (sometimes referred to as ‘realism’) and idealism. The naturalism in art tells us visually what is being painted – put simply, if you want to paint a man it must look like a man, with a human body and limbs and so on. The idealistic element of the style is a controlled deviation from strict adherence to natural appearances, by which the artist reveals invisible truths. The invisible truths that the artist might reveal through style are, for example, the fact that man has a soul and a spirit that is intellect and will. It is this deviation from strict ‘photographic’ naturalism that characterizes the style of art. (However, in reality even a camera lens distorts appearances in a way that makes a photograph subtly different from what the eye actually sees). 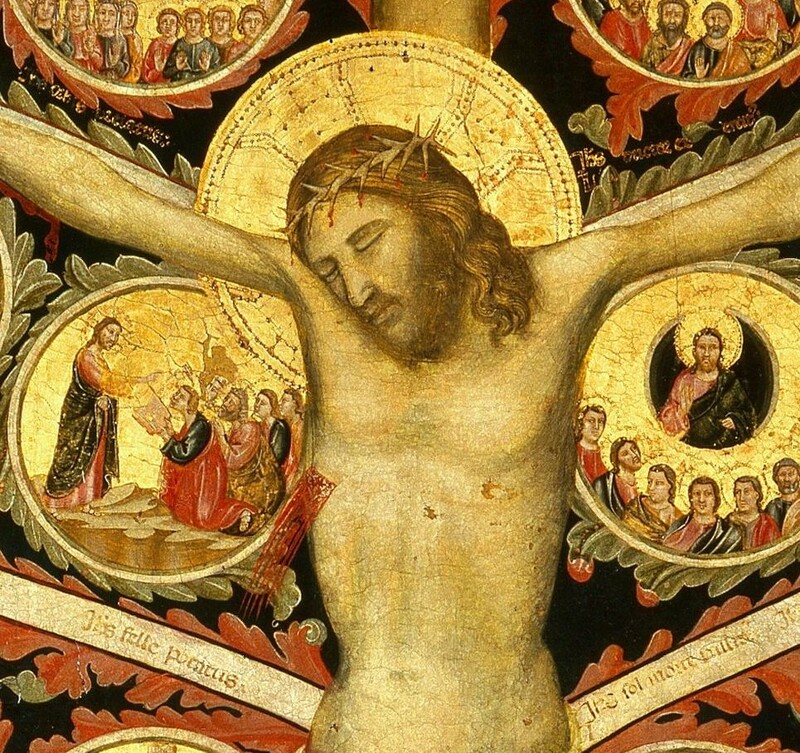 All paintings in any particular tradition will have in common particular methods of controlled abstraction that are carefully worked out to reveal the Christian understanding of what it portrayed. It is through perception of these that we are able to recognize the style. For example, we recognise the iconographic style because of an enlargement of the eyes, the diminution of the mouth, and the elongation of the nose, all in particular ways. 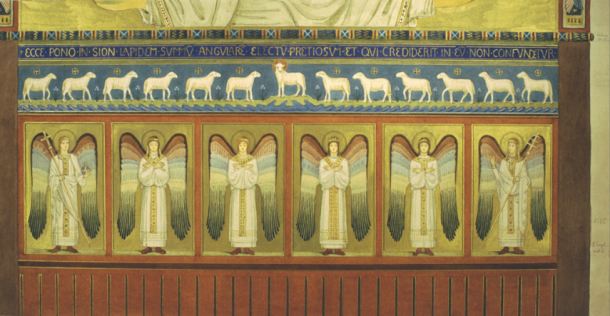 These elements of iconographic style were developed to suggest to the observer particular characteristics in the person portrayed that are appropriate for a saint. Aware of the deficiencies of the sacred (and mundane art) of their own time, Beuronese art sought to introduce an idealization into their style by seeking inspiration from ancient Egyptian art and from the Greek ideal. 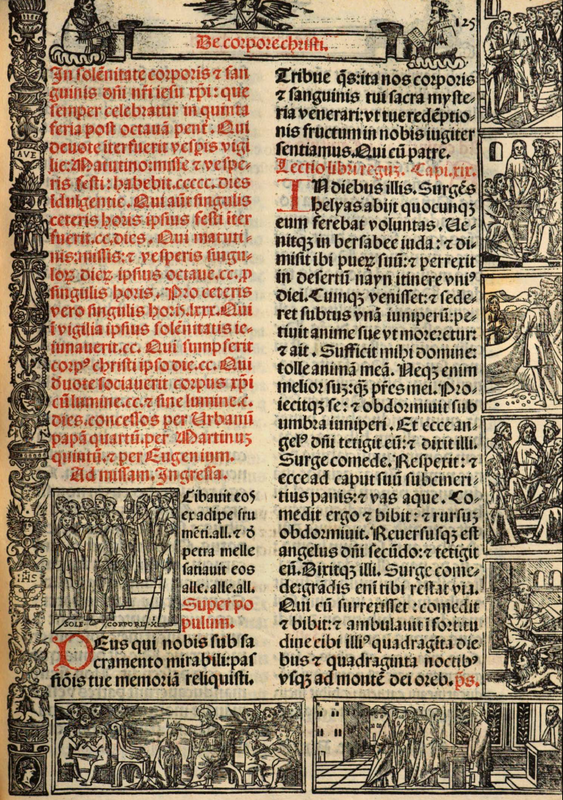 Visually, it is easy to see the influence of the Egyptian papyri; but in addition, the Beuronese artists used a canon of proportion that was said to be derived from that of the ancient Greeks, although this was a matter of speculation on their part, since the artistic canon of Polyclitus is lost. The link between ancient Greek art and Egyptian art is not an unnatural one. Plato praised the Egyptian style, and it has been speculated that Greek art from the classical period (around 500 BC) was influenced by Egyptian art. The Beuronese artists themselves were trained in the methods of the 19th century atelier, and the result is a curious mixture, 19th century naturalism stiffened up, so to speak, by an injection of what they believed to be Egyptian art and Greek geometry. What of the painting of Beuronese art today? 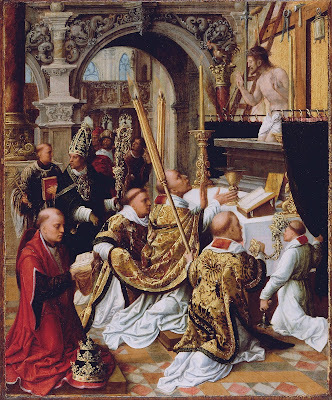 In his encyclical about the sacred liturgy Mediator Dei, Pius XII made it clear (in paragraph 195) that we should always be open to different styles of art for the liturgy, provided that any style under consideration has the right balance of naturalism and idealism. (He uses the words ‘realism’ and ‘symbolism’ to refer to these qualities). Its use is determined by the need of the Christian community, and not the whim of the artist or patron. 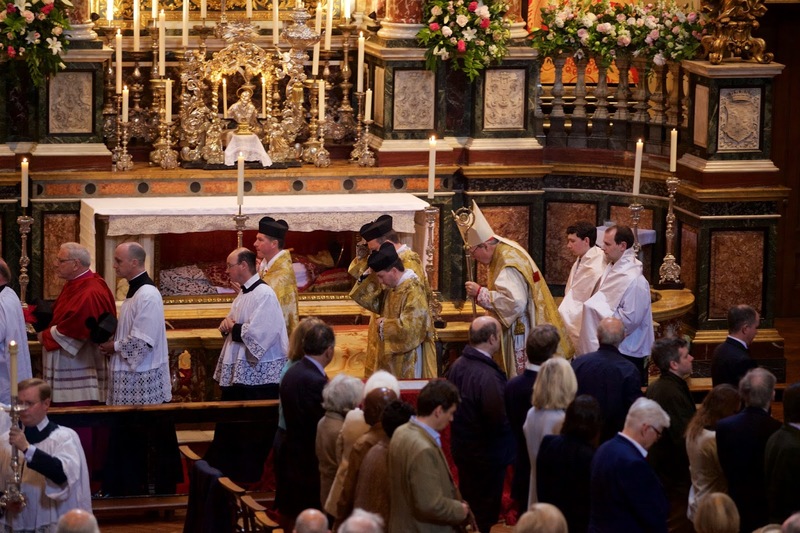 In my experience, the Bueronese style does connect with people today in the right way, so that it is appropriate for the liturgy. It has the sufficient naturalism so that one can recognize easily what they are looking at, and sufficient idealism that it does suggest another world beyond this one. Furthermore, contemporary culture does seem to provide naturally enough cultural reference points to allow modern people, even those without a classical education, to relate to this style. Art deco architecture, for example, is also derived from Egyptian styles. 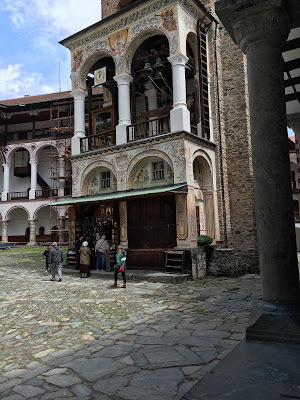 Strangely, many might find the Beuronese style with its Egyptian roots more accessible than a traditional icon in the classic Russian style of Andrei Rublev. I have read an account of the geometric proportions used in the human form in translation of the book On the Aesthetic of Beuron, written by their main theorist, Fr Desiderius Lenz. It was so complex that my reaction was that it would be very difficult for any painter to use the canon successfully in any but very formal poses. As soon as an artist seeks to twist and turn a pose in the image, then the necessary foreshortening requires the painter to use an intuitive sense as to how the more distant parts relate to the nearer. Usually this means that in such cases he is less able to adhere to the canon of proportion. This might account for that fact that when the figures are in less stiff and formal poses, Bueronese art seems to work less well, in my opinion. To my eye, the more relaxed poses produce art that looks like illustrations from the Bible I was given when I was a child: good in that context, perhaps, but too naturalistic for the liturgy. 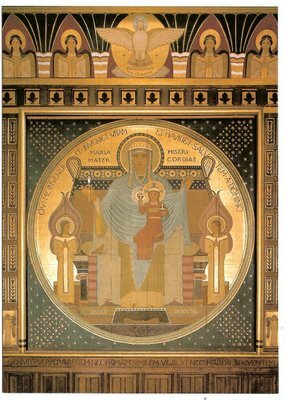 The approach of original Beuronese school is idiosyncratic – I do not know of any other Christian style of liturgical art that looked to ancient Egypt for inspiration. Nevertheless, the end result, when done well, does strike me as having something of the sacred to it and being worthy of attention. 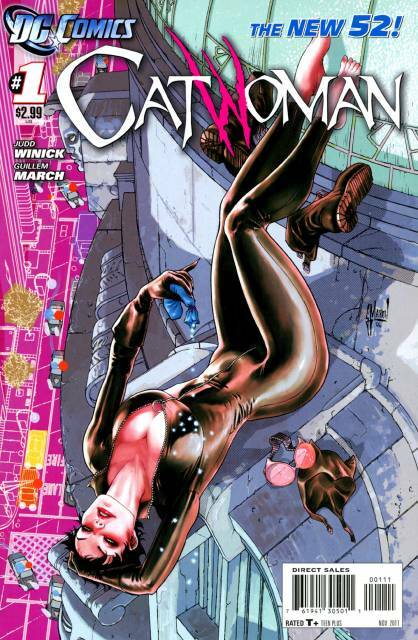 Perhaps their efforts to control the modern temptation to individual expression have contributed to this too. The school stressed, for example, the value of imitation of prototypes above the production of works originating in any one artist; furthermore the artists collaborated on works and did not sign them once finished. Below I show some examples of Beuronese art that I think are less successful than the examples above. The first is less formal and ends up looking like a good illustration for a children’s Bible, but is less suitable for a liturgical context. NLM has covered the work of classical architect Duncan Stroik on several occasions, and we are happy to offer him him our congratulations for winning the Arthur Ross Award. The Arthur Ross Award is the oldest award for classical architecture in the United States. It “recognizes and celebrates excellence in the classical tradition.” This year, Duncan Stroik, practicing architect and professor at the University of Notre Dame, received the Arthur Ross Award in McKim, Mead & White’s historic University Club in New York City. Stroik received his architectural education from the University of Virginia and Yale University. In 1990, after serving as a project designer for Allan Greenberg, he was invited to help implement a new curriculum in classical architecture at the University of Notre Dame. His work utilizes hand drawing, full-scale details, and watercolor renderings, as well as close collaboration with painters, sculptors, and other craftsmen. 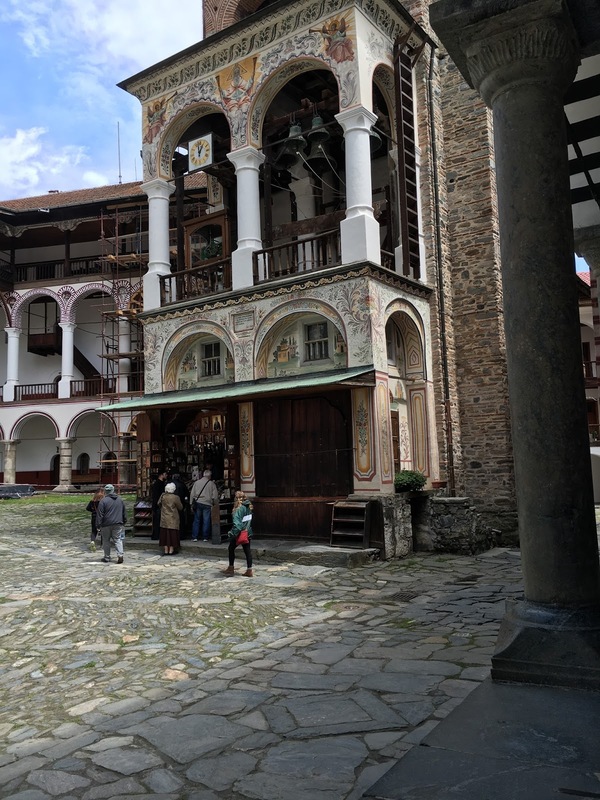 Learning from the great tradition has led him to visit and study buildings in situ throughout Europe, including the opportunity to measure the work of Andrea Palladio in the Veneto. Stroik’s Our Lady of the Most Holy Trinity Chapel in California was the first classical chapel to be built on a college campus in sixty years. His Shrine of Our Lady of Guadalupe in La Crosse, Wisconsin, is the grandest classical church built in decades. 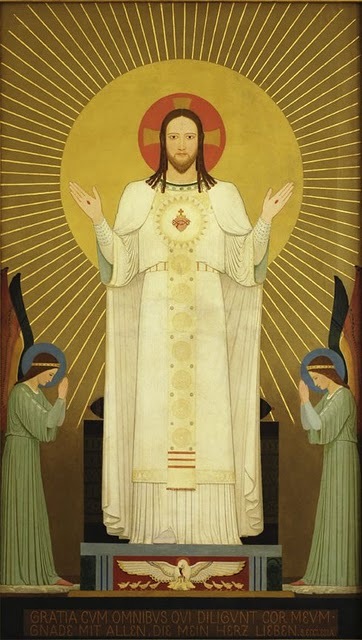 He is also known for the “creative restoration” of Saint Joseph Cathedral in Sioux Falls, South Dakota, which brought back the glory the cathedral never had. Presently, Stroik is working on a $28 million, 1300-seat chapel complete with a masonry dome, interior limestone columns, and two world-class organs for a college in Michigan. 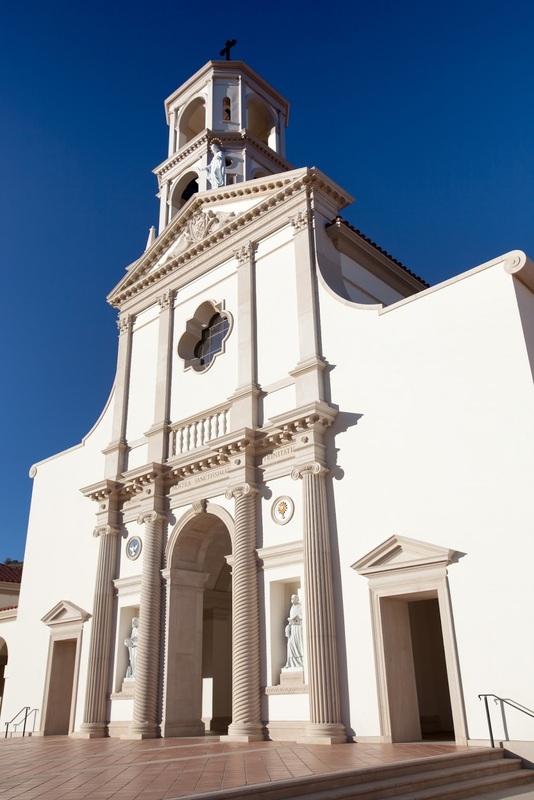 Our Lady of the Most Holy Trinity Chapel at Thomas Aquinas College in Santa Paula, California. 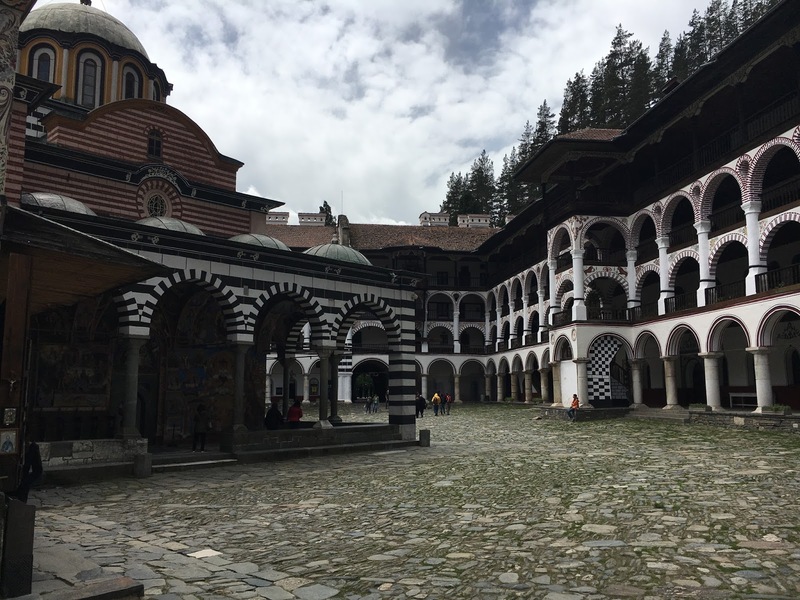 Stroik’s efforts to bring beauty back to churches led to the founding of the Institute for Sacred Architecture and its journal, Sacred Architecture. 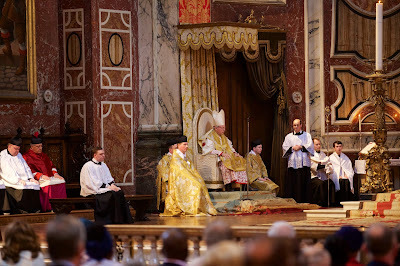 He is the author of The Church Building as a Sacred Place: Beauty, Transcendence and the Eternal. His work is animated by the conviction that beautiful and durable architecture ennobles mankind and honors the Creator. A reader in the Netherlands, Mr Sander Zwezerijnen, has posted on his Youtube channel this nice video of Vespers, sung in Latin and Gregorian chant in the Ordinary Form, for the feast of the Dedication of St Joseph’s Cathedral in Groningen, on May 25th. 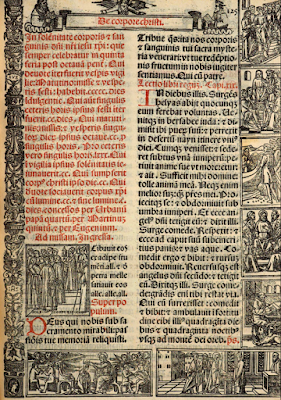 The hymn Urbs Jerusalem Beata, is followed by the Psalmody, (Psalms 45, 121 and the Alleluia canticle from Apocalypse 19), and the short reading from Apocalypse 21, at which point the battery of his recording device died. The clergy and choir of the cathedral are very much to be commended not only for cultivating the Church’s tradition and Her preferred form of liturgical music, both also for solemnly celebrating a feast which is too often neglected. 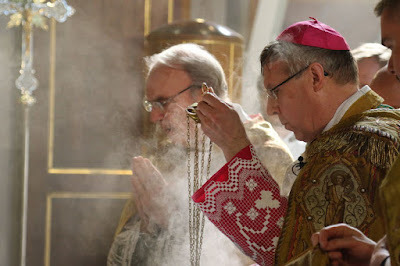 I have just heard that the Priestly Fraternity of Saint Peter have been invited by the bishop of Manchester, New Hampshire, His Excellency Peter Libasci, to staff a parish in Nashua, starting at the end of the summer. I heard of this through my friends at Thomas More College of Liberal Arts, who live just a stone’s throw away, and I anticipate that many of the students will attend regularly. 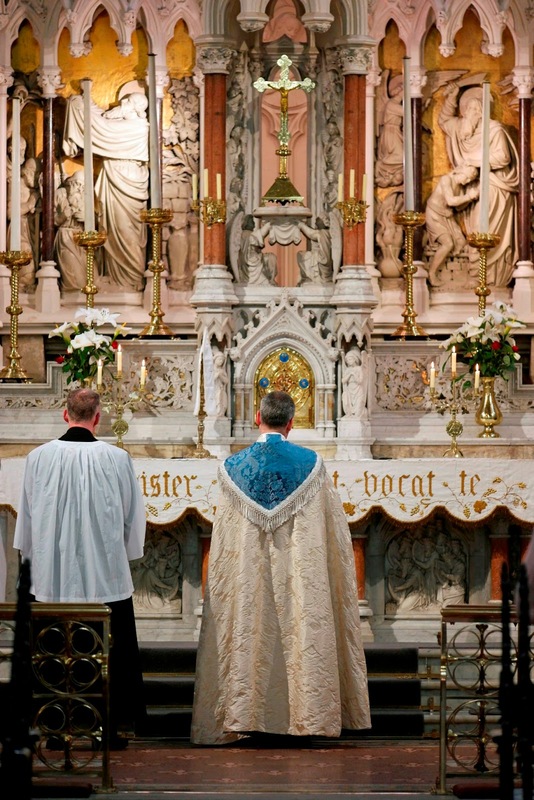 By all accounts, the church will need little renovation to make it appropriate for the Latin Mass. 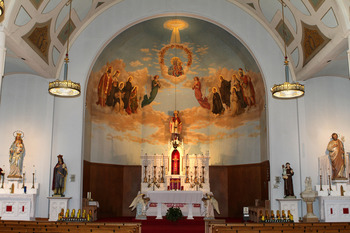 Here is an article in the Nashua Telegraph from 2011 with photographs, in which the writer talks of the beauty of the church; at time, it was being used as a chapel for perpetual Adoration, which continues to this day. 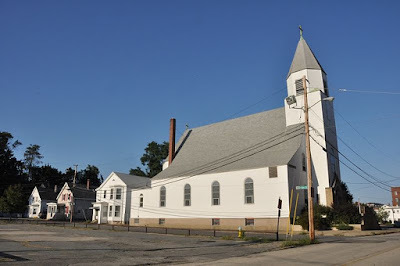 (MANCHESTER, NH) – The Most Reverend Peter A. Libasci, Bishop of Manchester, announced today that the Diocese of Manchester will soon be blessed with the opening of a new parish dedicated to the celebration of the Tridentine Rite Mass, when the former Saint Stanislaus church in Nashua will reopen. 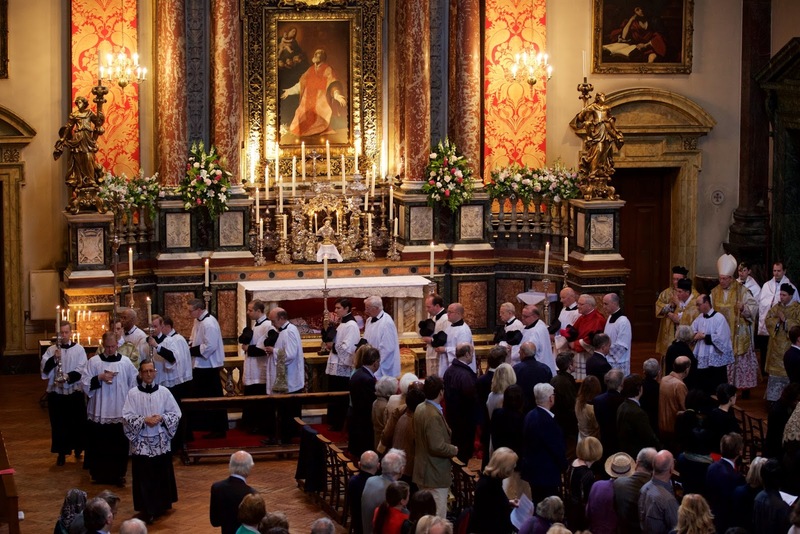 The new parish will be entrusted to the members of the Priestly Fraternity of Saint Peter (FSSP). While a pastor for the new parish has not yet been named, current plans call for the celebration of the first Mass in early August. “Since coming here in 2011, I have heard from many Catholics who have a deep affection for the traditional liturgical forms of the pre-Vatican II era,” said Bishop Libasci. “Consistent with that desire I am happy to announce the opening of this parish, dedicated to the Extraordinary Form of the Mass, as suggested by Pope Benedict XVI in his Apostolic Letter Summorum Pontificum, issued Motu Proprio in 2007.” Saint Stanislaus parish, established in 1908 to serve the Polish community of Nashua, was unified with Saint Aloysius of Gonzaga Parish in 2002. 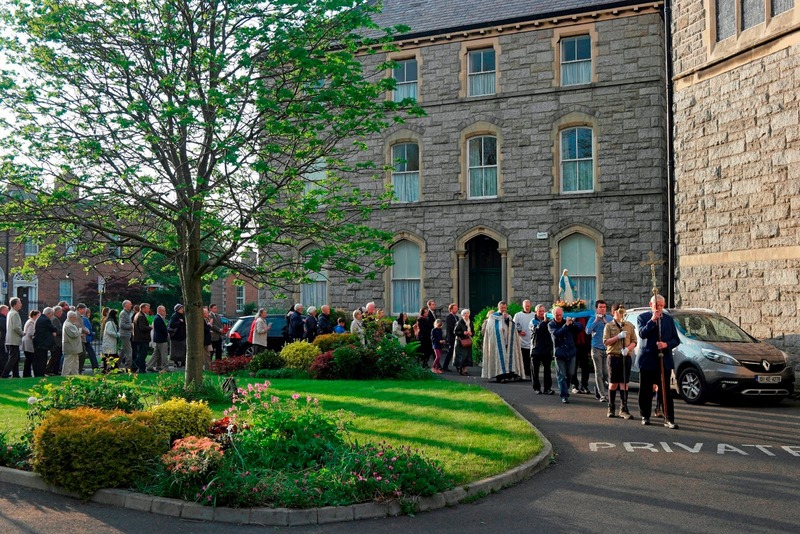 The church has remained in use since then as a Eucharistic adoration chapel. Since 1999 it has also been the home of the Corpus Christi Food Pantry. The pantry, with its many dedicated volunteers, will continue to offer its valuable services and programs that serve those who are in need in the greater Nashua area. The Diocese of Manchester is the Roman Catholic Church in New Hampshire, serving the needs of more than 264,000 Catholics. For more information, please visit www.catholicnh.org. 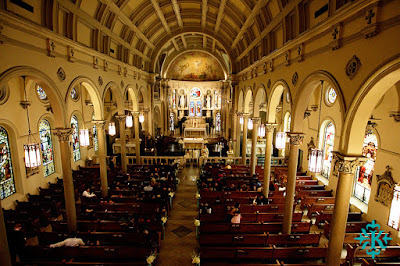 This coming Tuesday, May 31st, the feast of the Queenship of the Blessed Virgin Mary, an event to give worthy veneration to Our Lady and to promote the Latin Mass in the area will take place at the FSSP parish, Saint Victor Church, located at 8634 Holloway Drive, in West Hollywood, California. There will be a choir of sixty people directed by Jeff Ostrowski. For more details go here. 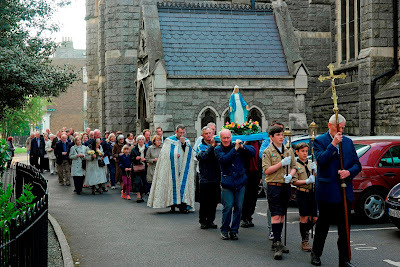 Thanks to Mr John Briody for sending in these photographs of a May Procession (followed by Benediction) held in honor of the Blessed Virgin Mary at St Kevin’s Church in Dublin, Ireland, home of the Latin Mass chaplaincy for the Dublin Archdiocese. For the 16th consecutive year, at Mater Ecclesiae, where the Extraordinary Form is celebrated exclusively every day, there will be a Solemn Mass and Procession for the Feast of Corpus Christi on Thursday, May 26 at 7:30 PM. There is plenty of parking. 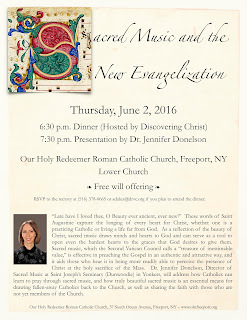 Come join us for this "Feast of God." 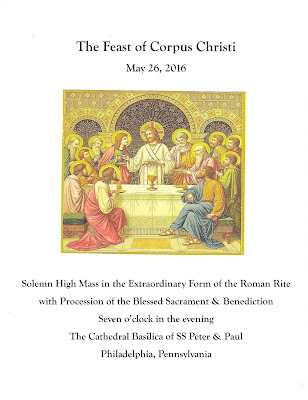 The Cathedral Basilica of Ss Peter and Paul, located at 1732 Race St. in Philadelphia, will have an EF Mass tomorrow for the feast of Corpus Christ, starting at 7 pm, and followed by a Eucharist Procession and Benediction. 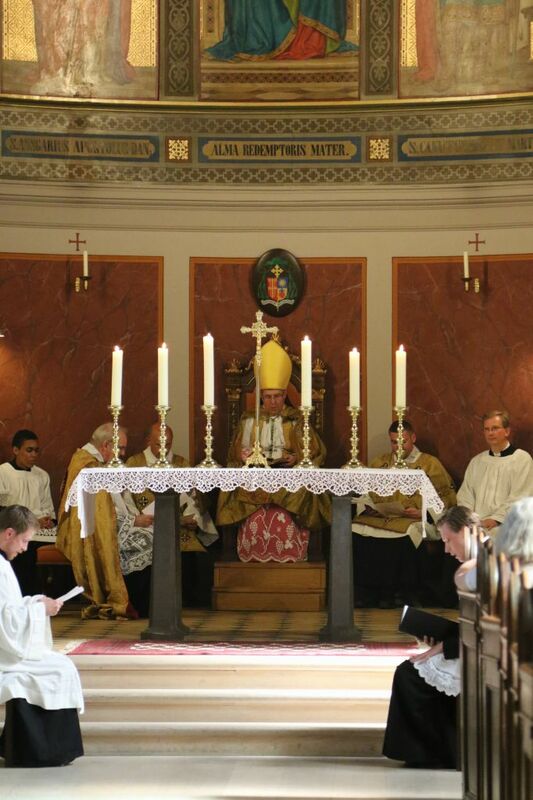 On May 7, Solemn Pontifical Vespers in the usus antiquior were celebrated for the first time in Scandinavia since the liturgical reforms. 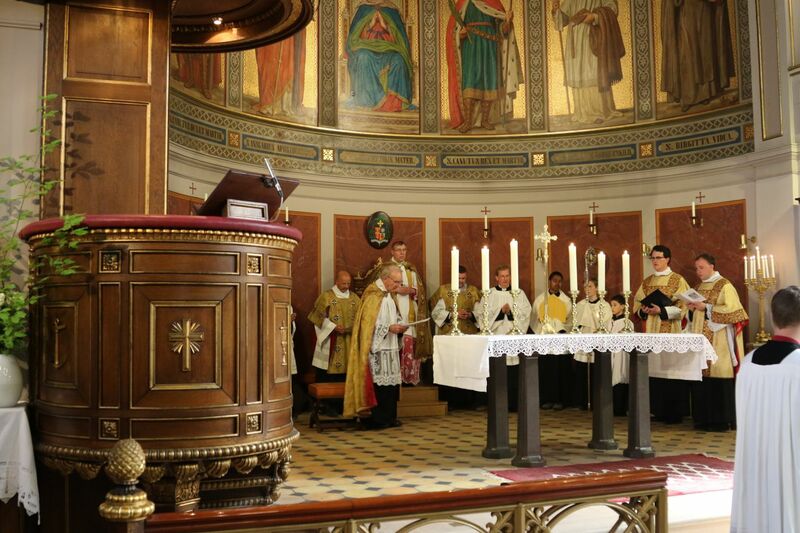 Bishop Czeslaw Kozon of Copenhagen celebrated First Vespers for Sunday after the Ascension in the Catholic cathedral of St. Ansgar. 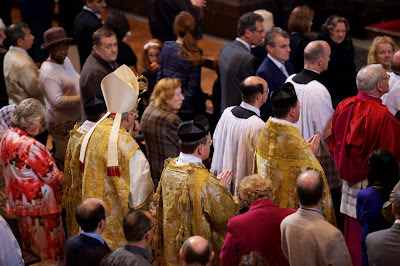 The Gregorian proper chants were sung together with a polyphonic setting of the Magnificat by Tomas Luis de Victoria. Clergy from the diocese assisted together with visiting priests. 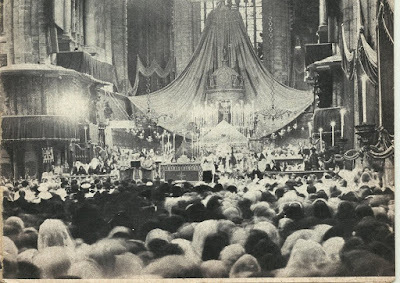 Remarkably, the Vespers were part of the religious and cultural festival “Danish Ecclesial Days,” held every third year. 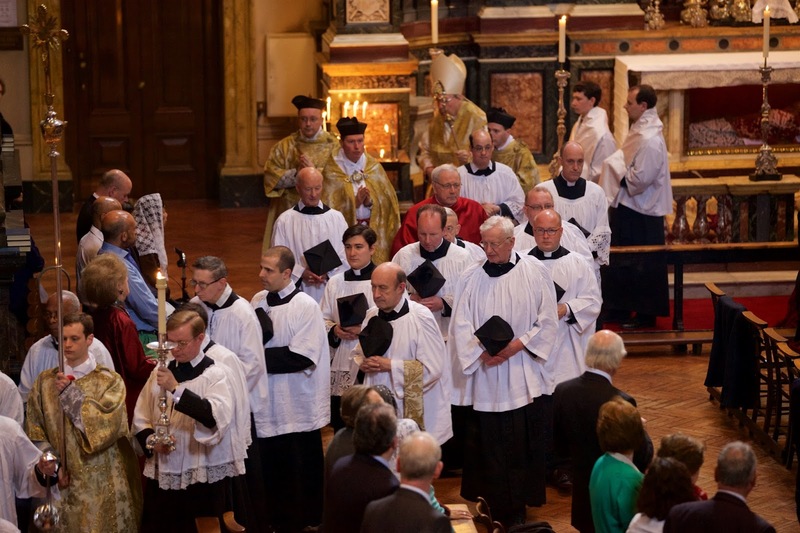 Originally an event of the Danish Lutheran State Church, this year other denominations have been involved. It was the Catholic representative to the organizing committee, a permanent deacon, who asked the St. Charles Borromeo Group (which organizes the TLM in Copenhagen) to arrange for this celebration of Vespers; he himself served as Assistant Deacon. The cathedral was open for prayer and Eucharistic adoration throughout the three-day event. Mgr. Kozon has been very supportive of the older liturgical use and will celebrate an EF Solemn Pontifical Mass and confer Confirmation in St. Augustine’s Church, Copenhagen, on June 25. Thank you, Your Excellency! 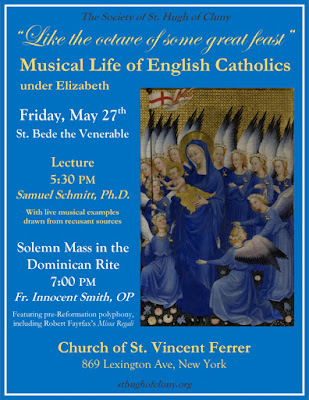 The Society of St Hugh of Cluny is sponsoring an event in New York City, (details in poster below), which will explore the riches of English Catholic musical and religious culture under the Tudors. 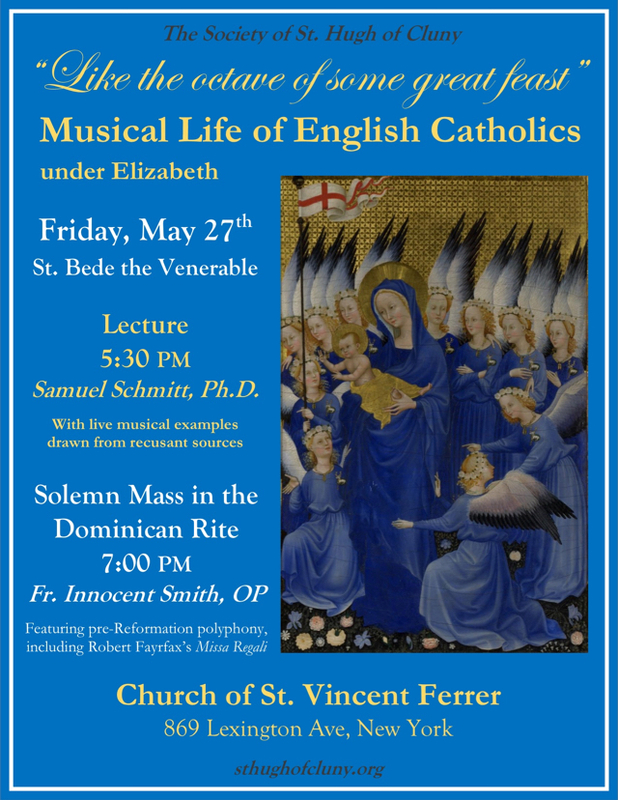 The lecture by Dr. Samuel Schmitt will describe the musical life of recusant Catholics in the time of Elizabeth, with live examples provided by Grant and Priscilla Herreid and Charles Weaver. The Mass which follows, in the traditional Dominican rite, features the Missa Regali of Robert Fayrfax, essentially in its original liturgical context, in the English Gothic Revival setting of the Church of St. Vincent Ferrer. 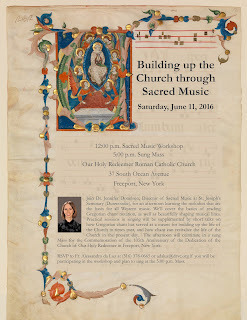 The contrast in musical styles will serve to highlight what was lost and what was gained in sacred music in the tumultuous passing from the age of Fayrfax to that of Byrd. 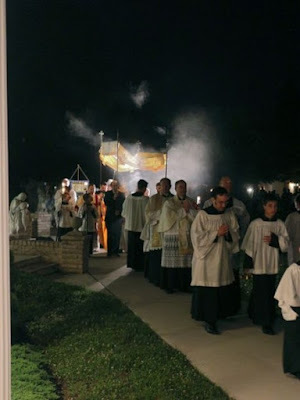 Now that we (at least in the Northern Hemisphere) are on the verge of summer and all the outdoor activities and traveling it makes possible, it seems worthwhile to discuss the phenomenon of outdoor Masses, which, if anything, seems to be growing in popularity as time goes on. To state the obvious, there may not always be a good reason for having an outdoor Mass. As we know, Canon Law specifies that the normative place for worship is a consecrated church or chapel. 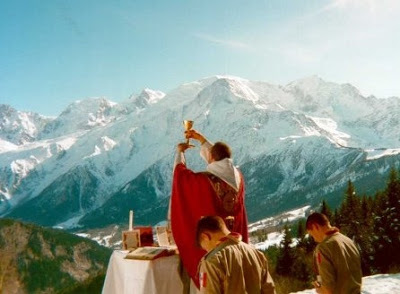 On the other hand, if you are a group of Catholics who are going on a fairly long-term wilderness trek and you will be many miles (and even mountains) away from civilization, or if you are undertaking a multi-day pilgrimage from one shrine to another, then packing the Mass along with you may be exactly the right thing to do. 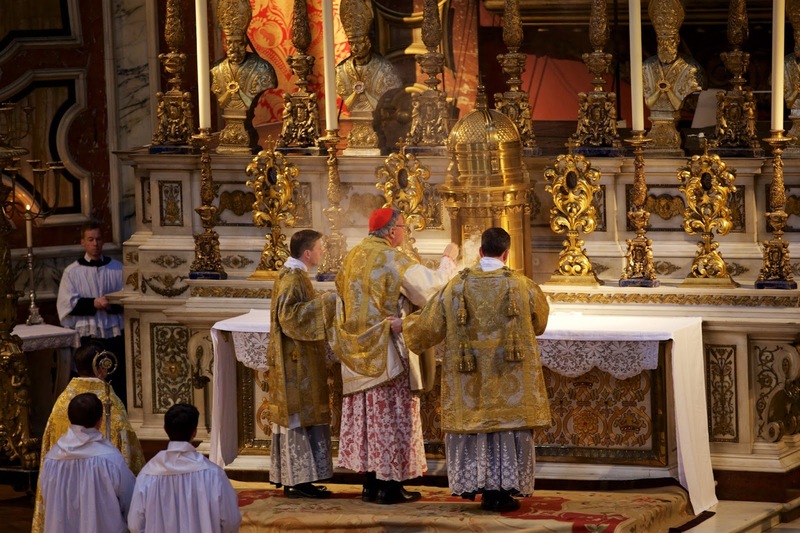 But it still must be done correctly — that is, reverently, with all essentials for the rite, and with no danger of profanation. 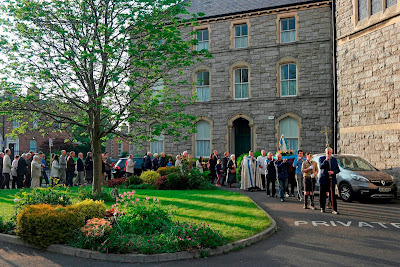 In short, if one is going to have Mass outdoors, it must be done well; and if, for whatever reason, this is not possible, it would be better not to do it. Fr. Pierre-Jean De Smet (1801–1873), a true apostle of the American West, once said that one of the hardest things about being a missionary was how many times he couldn’t celebrate Mass because conditions were too hard. I became interested in the question of outdoor Masses initially because of my involvement with Wyoming Catholic College, which features an intensive Outdoor Leadership Program that sends out all the freshmen on a three-week backpacking trip in the wilderness, with chaplains accompanying them for the first two weeks. Other outdoor trips, such as the freshmen’s week-long winter trip, have also been blessed by the presence and ministrations of our resident chaplains. I myself was fortunate to participate in a 12-day backpacking trip a few summers ago that was graced by the companionship of a Fraternity of St. Peter priest who offered the traditional Mass daily in the midst of some of the most breathtaking country I had ever seen. 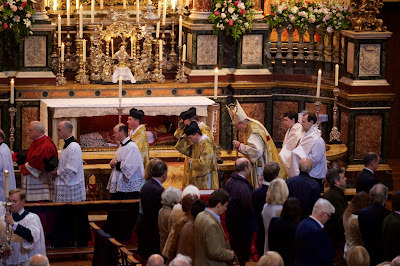 We even sang a High Mass for the Feast of the Transfiguration (I had packed a photocopy of the propers and ordinary). 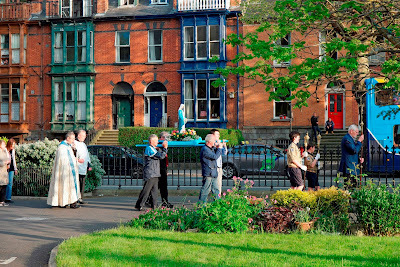 My purpose here is to gather in a single article a sizeable number of photographs and pointers about outdoor Masses. In my opinion, someday a priest of traditional sensibilities who is at the same time highly experienced in backpacking trips and other outdoor events should write a comprehensive and amply illustrated book on the subject. 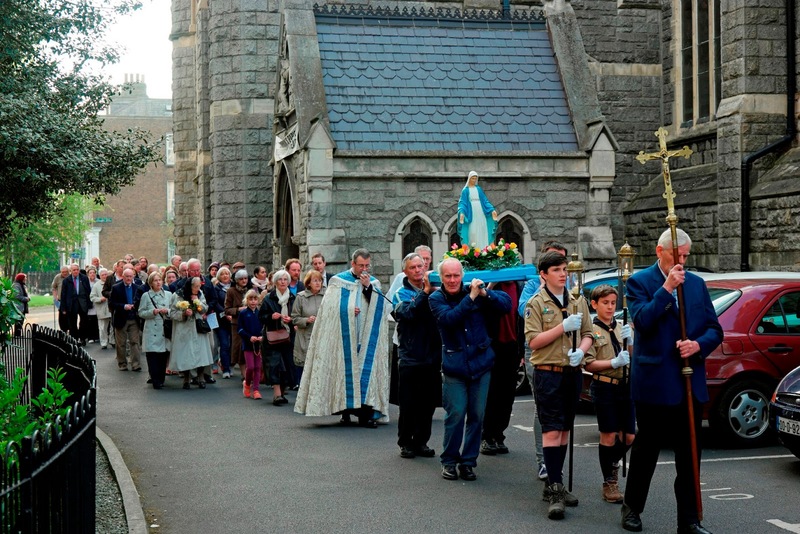 While we await that publication, however, at least we have some wonderful photos to look to for inspiration and guidance, as well as ten pieces of advice that Fr. 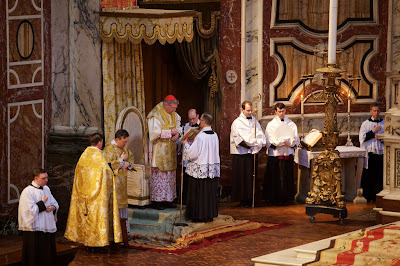 Antony Sumich, FSSP, shared with me as I was drafting this article. the “pack as lightly as you can” scenario, where fewness and lightness of objects is key, because the priest and his companions will be backpacking a long distance and carrying on their backs all their own food and gear. Over the years, NLM has featured photos from many outdoor Masses that fit the description of the first scenario. 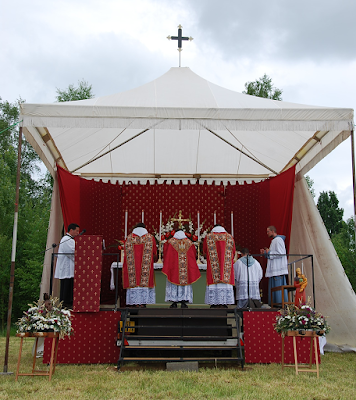 Most notable, of course, are the Masses from the annual Chartres pilgrimage. 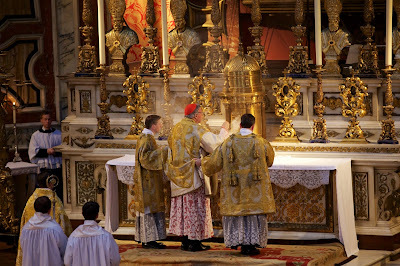 Another great example is the Mass celebrated by Fr. Sumich on the top of Mt. Kilimanjaro, the highest peak on the African continent. 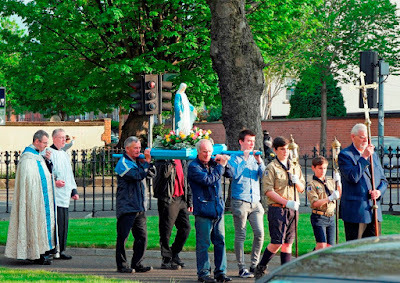 Again, Father was assisted by lay Catholics who served as porters to carry up the table and other items seen in the photos.